On days like today, when the roads are wrought with freezing rain turned to dangerous ice, our team at Marsten is busier than ever. The safety of our community is our primary concern, and your safety drives our passion for clearing the roads of snow and ice. We pride ourselves on decades on fast, affordable and friendly snow removal, road salting and de-icing services, as well as our highest quality supply of road salt for purchase. Marsten provides Ottawa’s best snow removal and de-icing services. In Ottawa, during these long and cold winters, it is important to have a reliable snow removal company on call at all times. 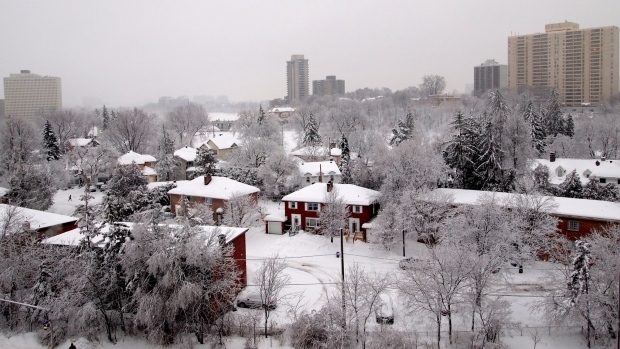 We provide 24/7 emergency snow removal, road salting and de-icing services to all Ottawa regions. At Marsten, we manufacture our own liquid brine with salt which is a solution to 30% salinity, resulting in a 70% reduction in the use of pure salt. This is a process which has been used by both municipal and federal governments in both Europe and Canada. When used during the moderate asphalt surface temperature of -12C, the product makes use of the sun’s heating effect on the asphalt to allow the liquid to penetrate the surface, preventing slippery surfaces and reducing snow accumulation. Additionally, we use Clearlane road salt which provides a lower environmental impact because there is less scatter when using it. This means that 20-40% less road salt can be used, compared to bulk de-icing salt. The inhibitor in this salt has also been proven to be three times less corrosive than regular road salt. We understand that the weather is unpredictable in the winter, so we are proud to offer morning visits, overnight visits and emergency response teams to ensure that your building and your people are safe. We offer 24/7 dispatch for emergency weather events and are available to return to a site as necessary throughout the storm. If you are looking the for the best de-icing service in Ottawa, with years of de-icing management and experience in snow removal, contact us today. We host our own snow dumping facility to ensure the streets are cleared and you can move easily to and from your home, even when the weather tries to stop you. Contact our team today to purchase bulk salt and de-icing salt in Ottawa and book regular or emergency de-icing services.